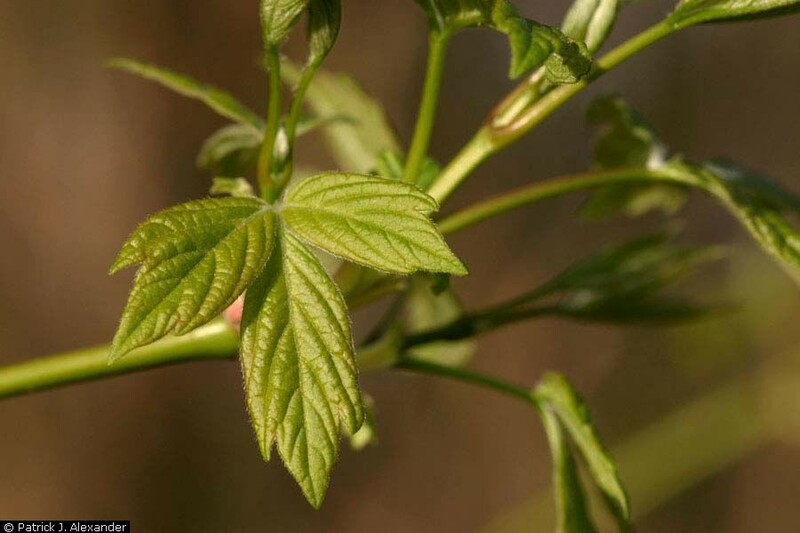 Boxelder is a medium-sized, fast-growing deciduous tree. 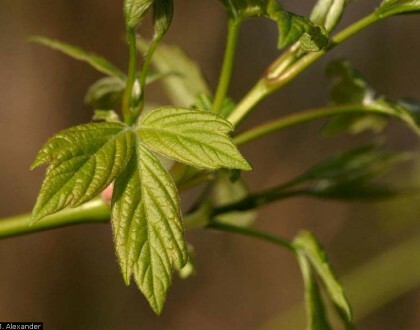 Its compound leaves are different from most other maples. Non-showy, yellow-green flowers bloom March-April on separate male and female trees. The flowers are followed by typical maple fruits (double-winged samaras), which persist on the tree into the winter months. This tree is a host for Boxelder bugs. While they are not harmful to the tree, they may become a nuisance by entering nearby homes for overwintering. Boxelder is susceptible to breakage, occurring either at the crotch of the tree, or where the wood itself is weak, usually along limbs. 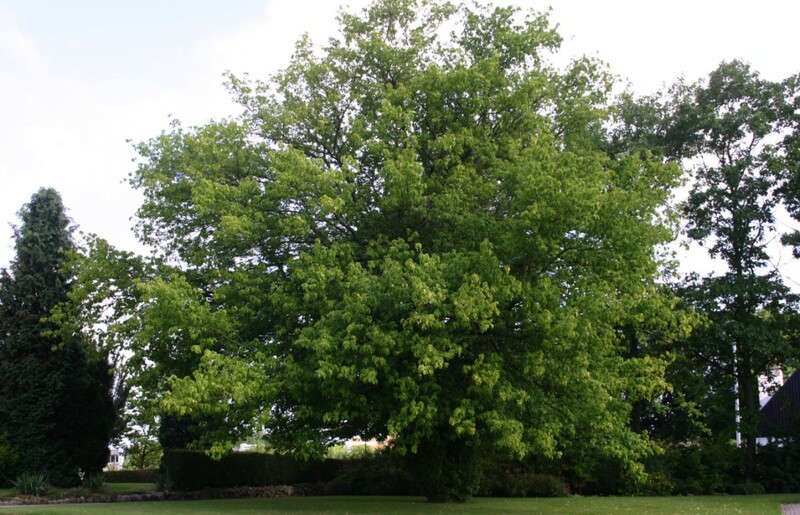 Best used as a specimen or shade tree in areas of the yard where tree litter and potential breakage will not be a nuisance.